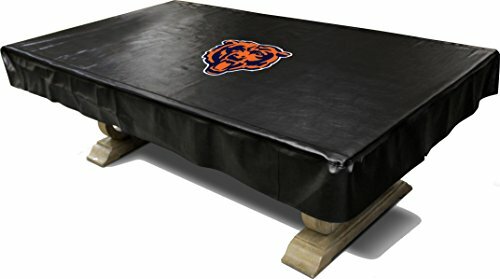 Officially licensed merchandise by the National Football League, the Imperial billiard/pool table naugahyde cover lets you take your game to the next level. The fitted style of this covering provides protection for the top playing surface and the side table aprons. It safeguards against spills, dust, dirt and pets from damaging your billiard table. High quality naugahyde is extremely durable, capable of withstanding much more abuse than vinyl covers. Measuring 100" L x 56" W x 8" D, this cover is designed to fit 8 foot tables. A silk screened team logo is prominently displayed in the center of the billiard table cover. The Imperial Officially Licensed NFL 57-Inch 2-Piece Billiard/Pool Cue is constructed from quality hard North American maple wood. Each pool wrap is detailed with licensed NFL graphics of your favorite team logo; graphics are digitally reproduced to ensure the colors of the team logo are crisp and clear for all to see. Built for superior performance, the maple shaft on this cue helps to reduce deflection, while the leather cue tip ensures premium ball control throughout the whole game. Featuring a lightweight ABS ferrule to best absorb shock on impact and accompanied by a soft Veltrex grip to enhance your overall control. Each billiard cue also comes with a protective leatherette case designed for easy transportation and storage; with a silkscreened NFL logo detail on the front so you can proudly display your team spirit. 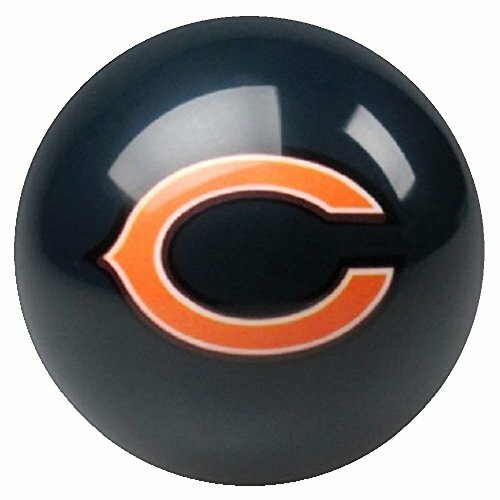 Officially licensed merchandise by the National Football League, the Imperial home and away billiard/pool balls let you take your game to the next level from the comfort of your own home. The graphics on the balls are digitally reproduced to ensure your team’s logo looks great. Pool balls are painted with home and away team colors, allowing players to choose their favorite team color. The balls are made from A Grade polyester resin, because of this quality resin, the balls will resist chipping and cracking. The National Football League’s logo is emblazoned on the cue ball. 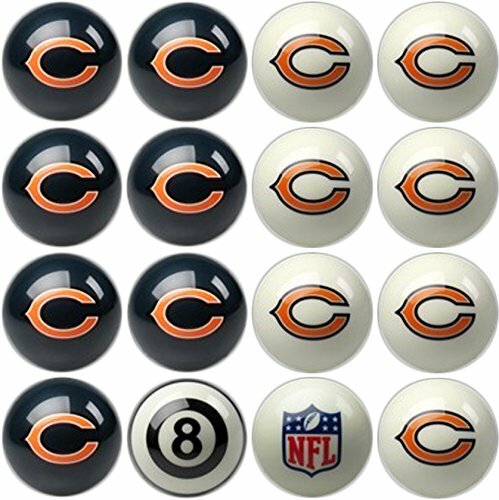 These billiard/pool balls are regulation weight and size and feature your favorite team’s logo instead of numbers so you can play as home vs. away rather than stripes and solids. This unique take on the game of 8-Ball is sure to be enjoyed by friends and family, and will be the most fun you are going to have in your fan cave besides watching the game. 1 Regulation Bears blue pool ball. 2.25 inch diameter and 6 oz. 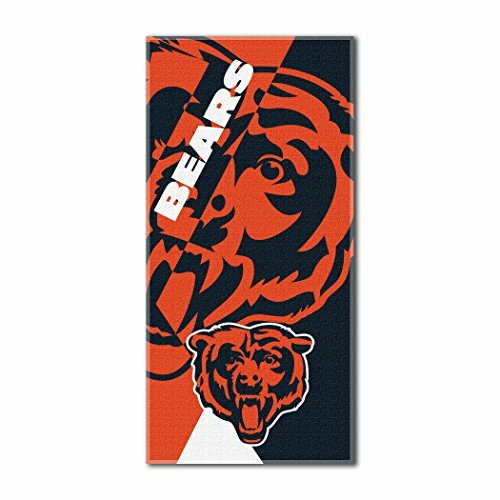 Officially Licensed NFL Chicago Bears Puzzle Beach Towel, 34" x 72"
Product serves as a collapsible trash can, cooler with a PVC leak proof lining, or even a laundry hamper. Stands 19" tall and 16.5" in diameter. Features carrying handles for easy transport. Screen printed logo featured on the front of product. 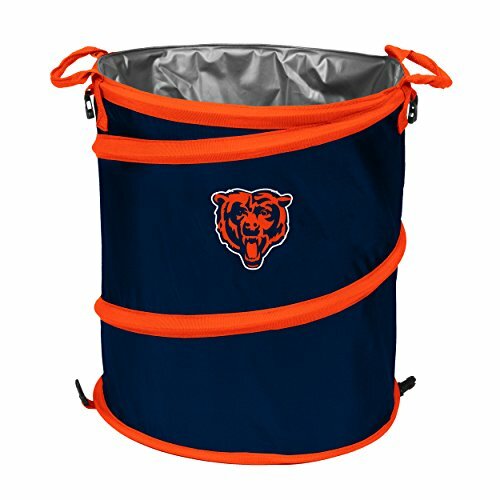 The NFL Portable Folding Tailgate Chair with Cup Holder and Carrying Case is essential gear for tailgating before the big game or showing off your NFL team colors at a backyard barbecue. In addition to the no-sag comfort seat, there's a mesh cup holder built into the armrest to keep your favorite drink handy and a matching carrying case for your traveling convenience. 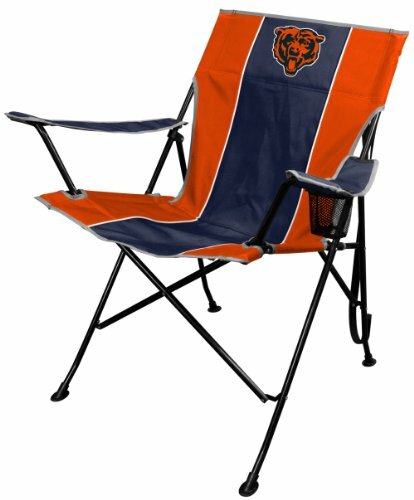 Also known as a camping chair, this surprisingly lightweight seating option prominently features your team's logo and name in a dual-color pattern. 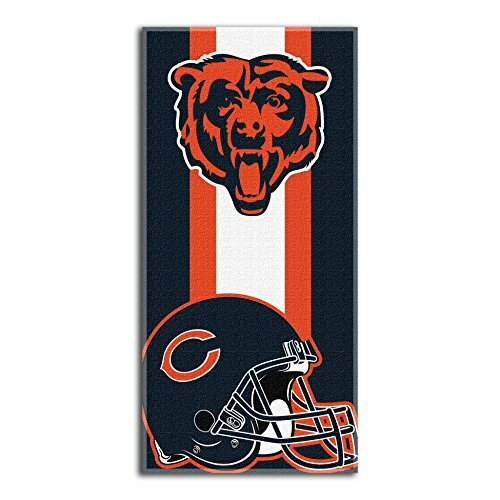 The Chicago Bears Beach Towel measures 30 x 60 inches. The fabric is 100% cotton. Brand new towel. great for the beach, pool, or bath tub. 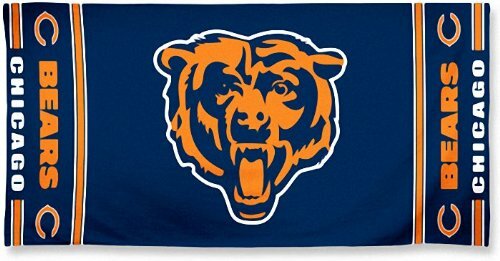 Copyright © Wholesalion.com 2019 - The Best Prices On Chicago Bears Nfl Pool Online.